This procedure was done on a Canada imported Tavor. 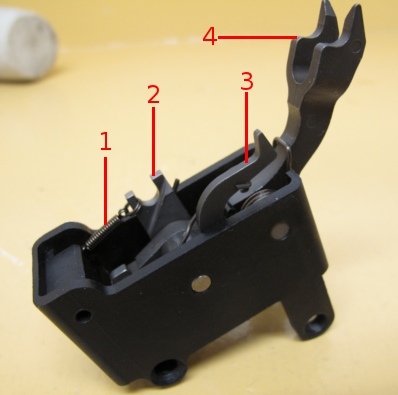 From the pictures I have seen, the trigger mechanism is different on U.S. Tavor version and therefore might not apply! When you pull the trigger, the trigger rod moves forward, as you can see in the video. The rod rotates the sear activator forward, releasing the hammer. 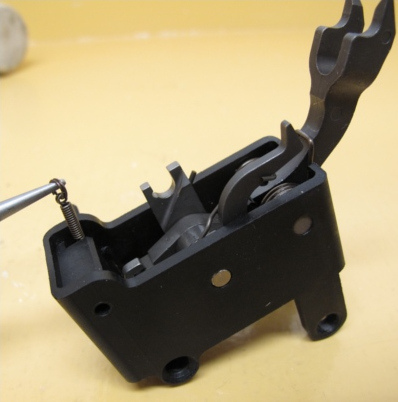 When you pull on the charging handle, the recoiling system moves back, lowering the hammer. When the recoiling system is removed from the rifle, the sear goes up. 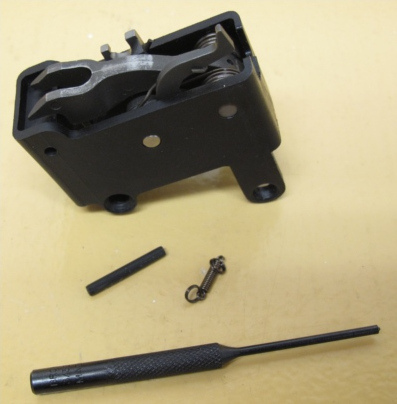 This prevents the hammer from being released when the recoiling system is not installed. Putting back the recoiling system in the rifle depresses the sear. Pulling the trigger moves the trigger rod forward, rotates the sear activator, which releases the hammer. Note: I do not recommend you play with the trigger mechanism like I just did, the mechanism housing is made of plastic and is not designed to stop the hammer. Repeat release could damage your housing! The spring provides tension on the sear activator. 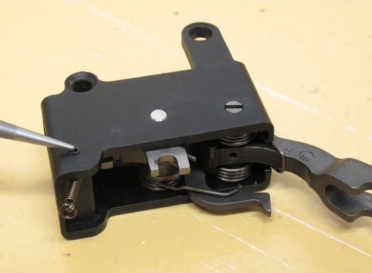 So by removing that spring, the trigger pull is lighter. Remove the spring from the sear activator. Be careful not to damage the loop. 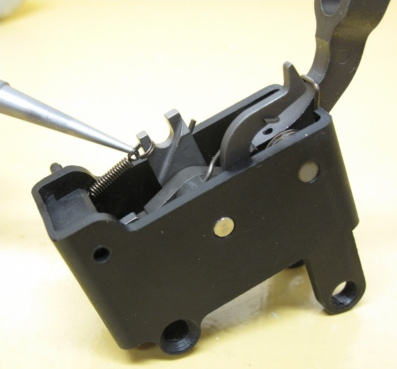 The spring is atttached to the mechanism housing with a roll pin. Using an appropriate punch, push it out. That is it! The trigger pull will now be a bit better!